MERCOLEDI’ 25 GENNAIO 2012 DALLE ORE 20.30 @ CAPOLINEA: TERRA E SEMI! 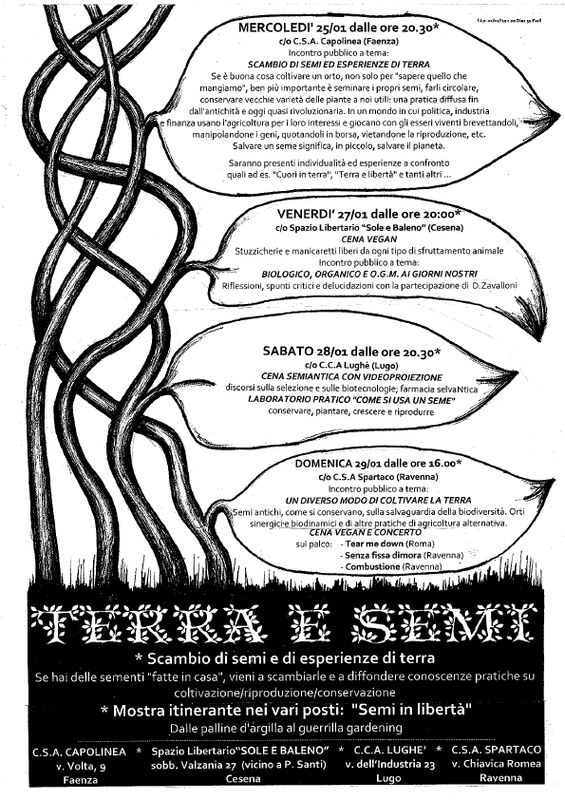 Continue reading MERCOLEDI’ 25 GENNAIO 2012 DALLE ORE 20.30 @ CAPOLINEA: TERRA E SEMI! Comment on MERCOLEDI' 25 GENNAIO 2012 DALLE ORE 20.30 @ CAPOLINEA: TERRA E SEMI!